Picture the following scenario: you’re working on two or more open documents at the same time. Instead of saving each document individually, you want your software to save them all for you with one command. Here’s how you make that happen. 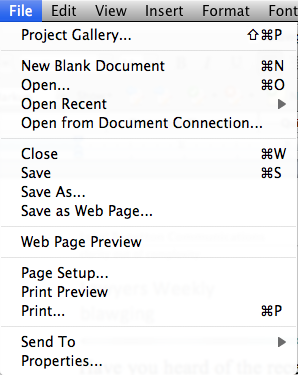 This works not just in Microsoft Word but also in other software that features a File menu. And other menus, for that matter. If you feel a little adventurous, try holding the Shift, Command, Option and other such “command modifier” keys while clicking menus in software you regularly use to see what changes occur. 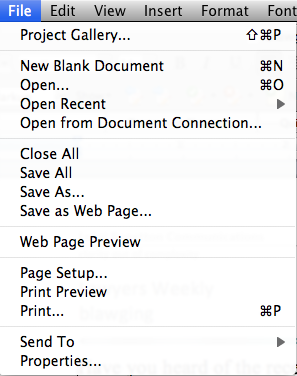 Extra tip for Mac users: You know you have unsaved changes in your Mac-based software because of one of these two indicators. One of my favourite tips! It works on PCs as well.